Home / Games / How-To / PC / PS4 / Tips and Trick / X ONE / How To Make Money From Playing Games - Worth to Try! How To Make Money From Playing Games - Worth to Try! Make money from gaming ! Playing game is an entertainment for all of us that is useful for reducing stress from work, spending spare time, entertaining and even improving intelligence. But there are many people who think that playing games is a waste of time, making us anti-social and others. But still many people do not know if playing games that can make money, how to do it?? This time gamenews.biz will discuss the trick to earn money just from playing game. By doing "Farming", but what does farming mean? do we mean by doing farming in the fields and being a breeder we will get the money? Of course that's not our intention. 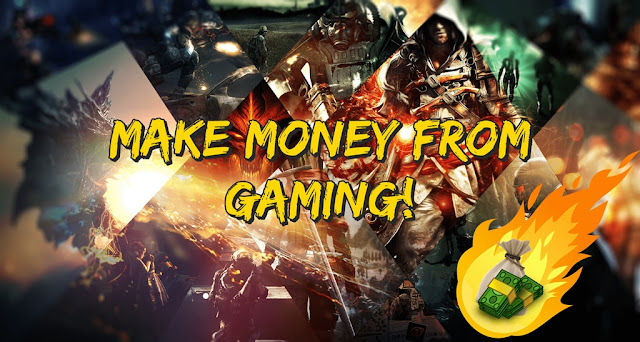 This is not a new thing but a powerful strategy to earn money from games, especially if you play online games. Many earn extra income from "Farming" then it is worth your try! 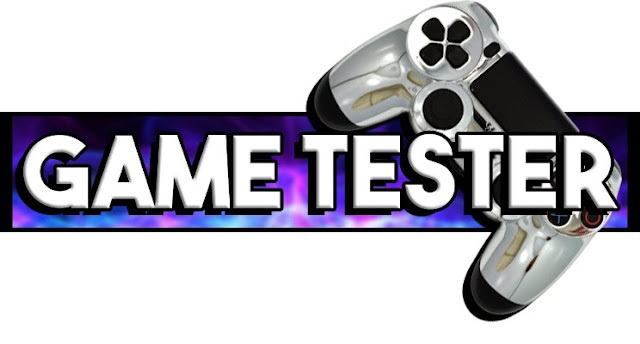 Being a game tester for newly created games, for games that are nearing the final stage of course the developers need others to try and test their latest games, this is one way to earn money from playing games but we need to remind that this work Just make your mind numb and also just get a little money. Making a Guide or walkthrough is very useful especially for newbies who are difficult to adapt to new games, you can create a set of ebook about guides, tips and even secret tricks on the game or you can make a video on youtube that potentially seen many people and get Money from YouTube. Do you feel pro in playing certain games like FIFA, DoTA 2 or Counter Strike: Global Offensive? If yes you have to take advantage to participate in various competitions and tournaments in the game, you can follow it alone or better with your friends. Joining the tournament is not easy, of course, there are plenty of other great competitors who will win the big prizes from the tournament, so you need to work hard to hone skills and need great teamwork and coordination. If not it would all be futile in getting rewards hundreds or even millions of dollars. Creating a Youtube channel account about gaming, this is one of the best ways to earn money just from playing games, create videos like reviews, guides, funny moments, and funny glitches that gamers are most sought after, if your content is interesting and original can be ascertained Your video will be flooded with viewers, with such YouTube will give big commissions if your video is watched by hundreds of thousands of millions of viewers. Serve Live Stream like Twitch, with the right game and trending, you can get a lot of viewers, but it's not easy you need a PC with high gaming spec to make it nice to see graphical display of the game, if you've got loyal audience occasionally ask for fund Donate for you. Selling your game online characters that are high and have weapons and rare gear will make your character price more expensive. The question is, does anyone want to buy expensive just for the characters of online games? Of course there is! Many people want to take shortcuts to get high level and rare gear by using cheats that are at risk of being banned, therefore many players want to buy a great character for a high price. But before this it is difficult to do because it takes extra patience in building characters in online games and search for rare gear, but keep in mind your hard work will pay off everything! That's a trick worth a try from gamenews.biz, may be useful for you who want to combine the hobby of playing games into work. If you think it's useful please share it to your social media and to your friends!